Because “archaeologist” means Harrison Ford with its hat and its whip. And in this episode of “Meet The Hollywood Costume Designers” Deborah Nadoolman Landis tells us how she created this iconic costume. But also how she designed a certain red jacket that was sold for 1.8 million dollars at Julien’s Auctions of Beverly Hills. 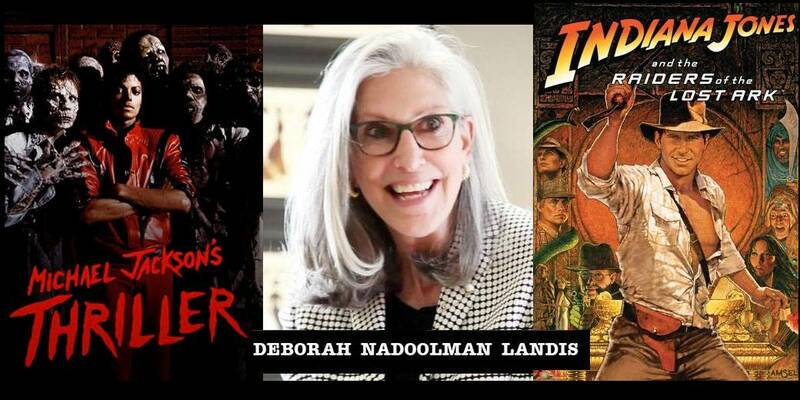 We continue our conversation with Deborah Nadoolman Landis who, in her costume designer career, has created many iconic costumes, from the Blues Brothers she talked us about in the first part of this “Meet The Hollywood Costume Designers” episode dedicated to her. Here we talk about another iconic costume that defined a category. What do you think of when I say the word “archaeologist”? I know: a hat and a whip. And him. Indiana Jones. But then there was the match between the perfect actor – Harrison Ford, in fact – and the perfect costume: and that’s how an icon was born. And when the perfect costume meets the perfect performer, another icon is born. Here again, what we immediately think of when we talk about Michael Jackson is a certain video clip – or rather a short movie -, zombies and a certain red jacket that turns Michael into a superhero. Perché “archeologo” significa Harrison Ford con cappello e frusta. E in questo episodio di “Meet The Hollywood Costume Designers” Deborah Nadoolman Landis ci racconta come ha creato questo costume/icona. Ma anche di come ha creato una certa giacca rossa venduta per 1.8 milioni di dollari alla Julien’s Auctions a Beverly Hills. Continuiamo la nostra conversazione con Deborah Nadoolman Landis che, nella sua carriera di costume designer, ha creato una serie di costumi iconici, a partire dai Blues Brothers, di cui ci ha parlato nella prima parte di questo episodio di “Meet the Hollywood Costume Designers” dedicato a lei. Qui invece parliamo di un’icona che ha definito un genere. Se vi dico la parola “archeologo” cosa vi viene in mente? Lo so: un cappello e una frusta. E lui. Indiana Jones. Poi però c’è stato l’incontro tra l’attore perfetto – Harrison Ford, appunto – e il costume perfetto: e il mito è nato. E quando il costume perfetto incontra il cantante perfetto nasce un altro mito. Anche in questo caso, se pensiamo a Michael Jackson ci viene subito in mente un certo videoclip – o piuttosto uno short movie -, zombie e una certa giacca rossa che trasforma Michael in un supereroe. Next Post DISCOVER THE MAGICAL WORLD OF CAROLYN RODNEY’S JEWELS, MADE OF GOLD AND DIAMONDS, PEACOCKS AND FLYING SAUCERS. AND LOTS OF HOLLYWOOD STARS.